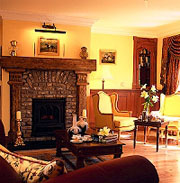 Located in the heart of the picturesque town of Kinsale, famous for its gourmet restaurants and lively character bars with their complete range of quality food and music, the best of Irish hospitality waits to welcome you at Friars Lodge. Guests can avail of private off road parking and we can cater for bus/coach parking by prior arrangement. 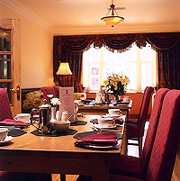 We have 18 Non Smoking rooms in total consisting of two suites, eight triple rooms and eight double rooms. All of our bedrooms are spacious and fitted out to the highest of standards for your comfort. Every room comes with its own en-suite bathroom. Kinsale has 3 golf courses the most famous being The Old Head, now rated as one of the worlds top 10 courses. We are also ideally situated for Golf Tours with over 20 quality courses within two hours driving distance. We are happy to help and advise on booking tee times and arranging transport.